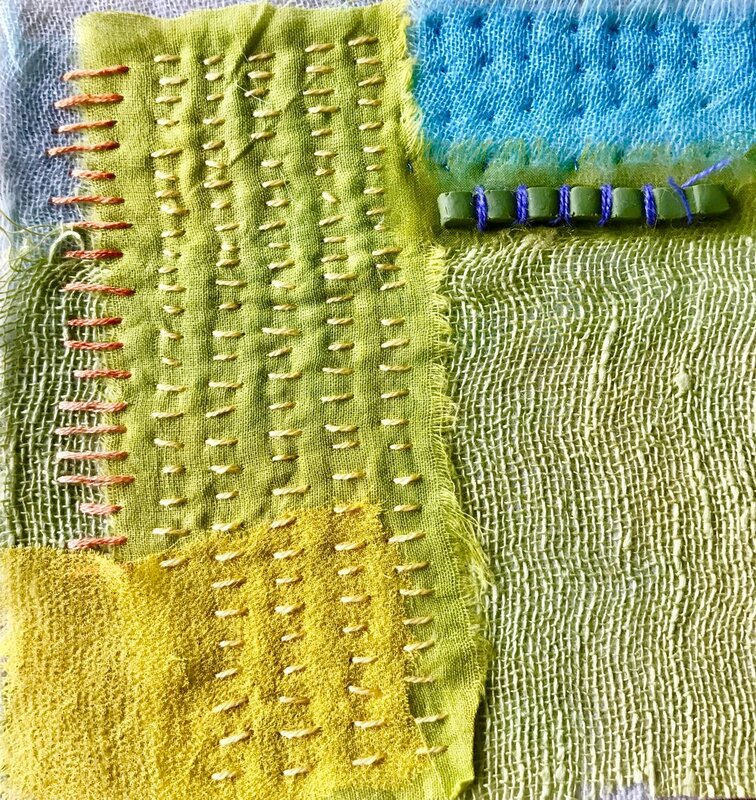 Slow stitch requires slow time. So often all the tasks of daily living and work soak up an urgency and I bring that urgency to the studio. The stitch work is different then. This past month my husband, Bruce, and I drove from Washington state to Minnesota to visit my sister, Kate and husband John's lake cabin. They had an Eames chair sitting in the corner of their cozy cabin that looked out on the lake and the fall trees. I "globbed" on to that chair and for at least five days I had that chair and a slow routine of easy food preparation with Kate, conversations, walks, and stitch. Time slowed. 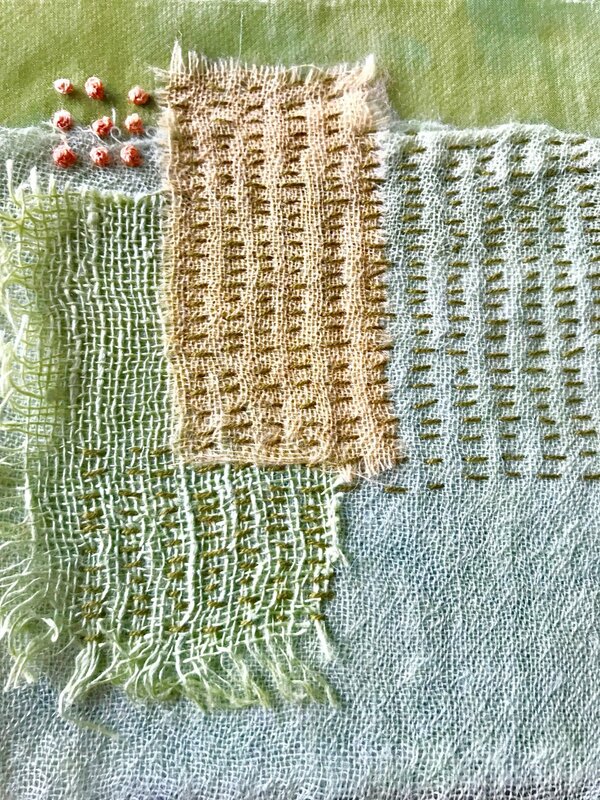 I brought several pieces with me to stitch and I got lost each day in the quiet, meditative act of making these pieces. I played with them and had fun trying some things that worked and some that didn't. Here's one of those pieces. And here's another that I will probably add more to someday. The 2,700 miles of mostly wide open spaces and empty roads allowed for deeper conversations and gentle days with Bruce. Time slowed. I hope the images will stay with me for a lifetime: straw colored fields edged with the reds, oranges, purples, and shocking yellows of wild flowers and grasses; the soft grey of sages; and the dark green firs studded in between. It expanded my color pallet and I am anxious to bring those colors in to my work. On this one, I want to add the colors of the wild flowers and grasses. As we move to winter, I crave more slow time. And, like decluttering a house, I plan to declutter my schedule to allow for it.